The truth is that simple rules like, "never talk to strangers," are inadequate for the real dangers in Today's world. And the fact that children learn the rules for completely different reasons than those we have for teaching them, makes the problem even worse. When we look at the basics of child development and understanding, especially in the early years when we first expose them to the child safety lessons like Stranger Danger, we see something that will (or at least 'should') change the way we teach them, forever. What is this 'thing?' It's brain development. ... between the ages of 18 and 22! We must understand the differences between why we teach our children about strangers, abduction, and child safety in general, and why they bother to learn the lessons. 1) We teach our children the "rules" so that they will be safe. ... it makes us happy when they get the answer right! They crave approval and will do anything to get it. Even memorize answers to questions and problems that they don't yet, and can't, understand. - or someone who has befriended them long before the actual crime has been committed. ... in their mind of "watch out for the stranger", the rules do not apply. By the time your child figures out that things don't feel right, the damage has already been done. Protecting Yourself Like a Pro! 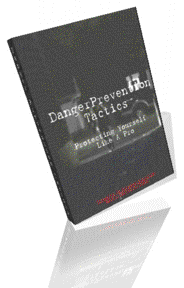 ... and get more information, as-well-as free articles, product reviews, hints, tips, and suggestions about self-protection and how to be more safe in Today's often unsafe world. 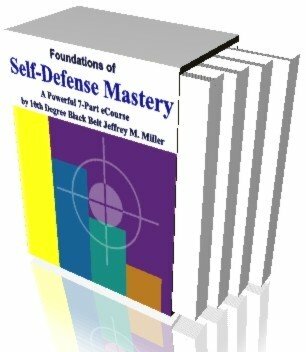 Click the link for more information about the WCI Self-Defense Newsletter. Or... to Subscribe Now, simply enter your first name and email address in the form below and click "Subscribe." Check out Shidoshi Miller's newest books! NEW Book! SHURIKEN: Master the Ninja Star! New! Real Togakure-style Senban Shuriken! Children often have a misleading and inaccurate picture of what a stranger is, or looks like, due to the scare and fear-tactics expressed by parent and teachers. * 'He' is always a man. Even if asked if bad strangers can be a woman - children almost unanomously answer "no." * They are ugly. Again, according to the vast majority of children, bad strangers cannot be pretty or good-looking. * They are mean. A child registers a stranger as "bad" if they are not pleasant. This is true for mean looks as well as harsh speech. * 'He' (remember it's a him) is dressed in black clothing and is often described as wearing a mask. When not wearing a mask, 'he' has facial hair like a beard. * There is never mention of race or color. * There is never mention of women. * There is never mention of people that their parents talk to. As you can see, what we don't say (even if we could say it in a way that a two, three, or five, etc. year old could understand and relate to) is just as important as what we do say. Scare and fear tactics, false or misleading descriptions, or worse yet, half-descriptions, both can be counter productive, possibly even harmful to the child's psychological and emotional growth. Should You Consider Martial Arts for Child Safety? A common worry of many parents is that martial arts training will encourage violence or aggression in their child. With rare exceptions, the opposite proves to be true. At a professional martial arts academy, teaching martial arts for children, kids learn about what causes conflict so they can be better prepared to deal with it in a self defense situation. Children discover an inner confidence and strength that helps them to move beyond the need to prove themselves physically or cower in fear. They come to find that they have the courage to walk away from a dangerous situation. When it comes to teaching child safety, make sure that you ask about the instructor's credentials. Make sure that he or she is qualified, in your eyes, to help you teach safety lessons to your child. What's Right for You and Your Child? Knowing what you need is only the beginning when it comes to child safety. And, contrary to popular belief, all martial arts programs are not the same. Here are some things to remember when looking for a safety program for your child. 1. Instructor's Credentials - What background or experience does the head instructor have besides teaching martial arts? You owe it to your child to find an expert - someone with experience in handling real-world dangers themselves and who understand the real dangers that children - your child - may have to face. 2. Class Structure - Take the opportunity to view a class or two. It's important that class size be small enough to allow for personalized attention. Your child should be learning and not getting lost in a crowd. 3. Lesson Focus -<?B> Watch what is being taught. Ask yourself, do the techniques look like ancient martial arts moves or do they look like something that your child could use today? Are the attacks realistic or do they look stylized and robotic? Remember, a child safety program is only as good as the information and skills being taught. They must not only work, but, must work against dangers that your child will have to deal with. Here are some free safety tips to aid in your own understanding of child safety and therefor your ability to help your child with their safety. 1. Educate yourself about the tactics used by abductors and those who assault children. Your child's safety should be one of your top priorities. Know what the dangers are. 2. Teach your child the rules but know they may not understand (even if they say they do). Especially young children. You are your child's first line of defense. 3. Avoid using scare or fear tactics. Scaring a child by talking about the aweful things that can happen is definitely the wrong approach. 4. Establish rules that are enforced the same way every time. Consistency is the key. Go over the rules on a regular basis. There are few, if any, programs available today that offer so many benefits for helping your child develop like a carefully structured martial arts program for kids. A professional school that focuses on child safety and self defense will be able to help you to teach your children, not only to be able to handle a bad situation, but also what danger signs to watch out for. A good safety program will provide children with important information and skills. It will foster self-confidence and teach each child to trust their own feelings and instincts. In addition to child safety issues, the martial arts are renowned for helping children of all ages to develop the skills and habits needed to be successful and to achieve their goals. Instructors help children just like yours to develop skills and positive traits - the traits of leaders - that will continue helping them throughout the rest of their lives. All this adds up to a solid personality and high level of self-esteem which is difficult for anyone to victimize! If you would like to have this information and more presented to your group or association, or, you'd like more information about how you can get your child into one of our programs here at WCI, call us today at (570) 988-2228. Don't forget to scroll back up and subscribe to the newsletter before leaving this page. I look forward to helping you with your child safety needs very soon.